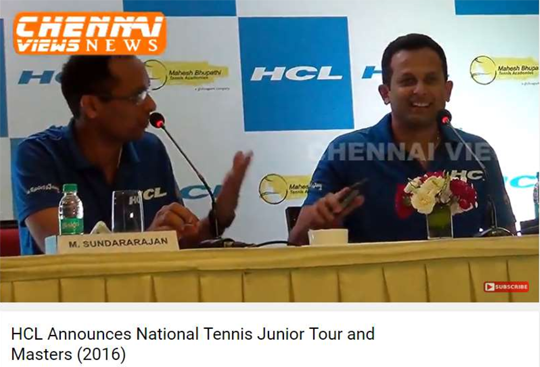 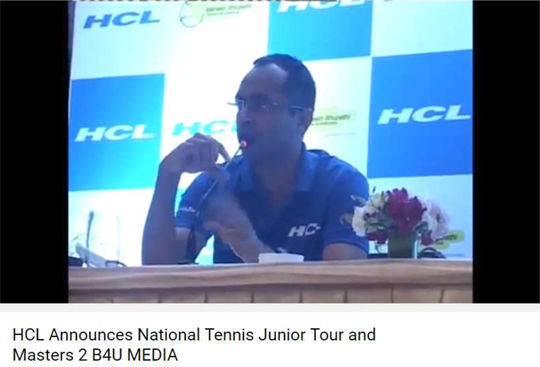 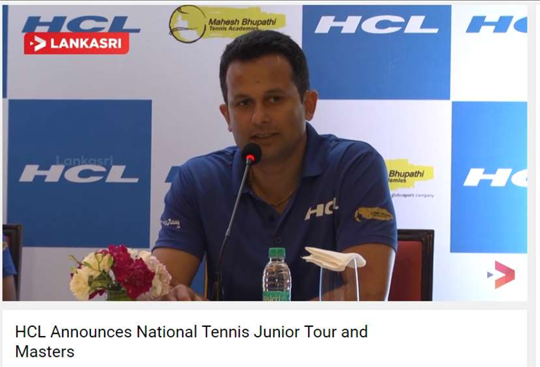 The HCL Tennis Junior Tour &Masters kick-started with the Championship Series (CS) 7 in Chennai at the Sports Development Authority of Tamil Nadu Stadium. 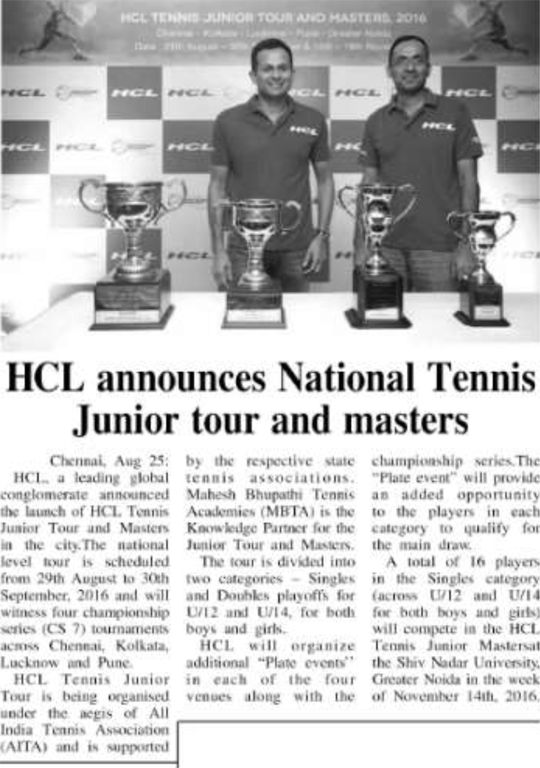 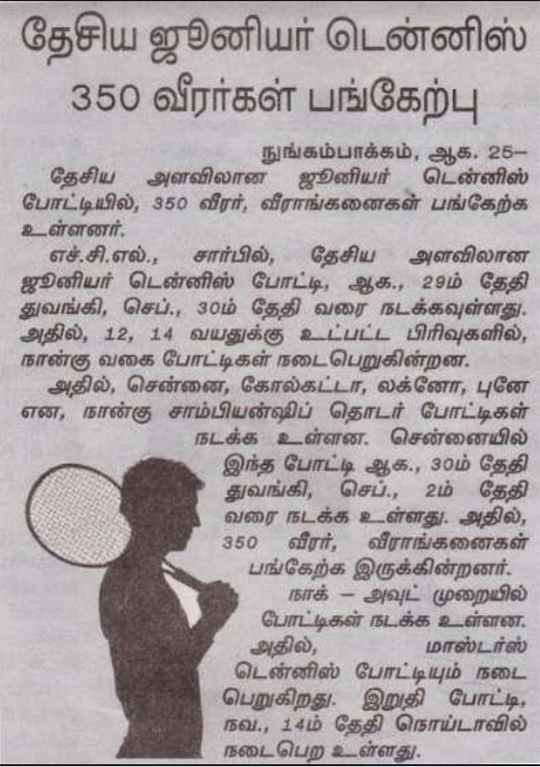 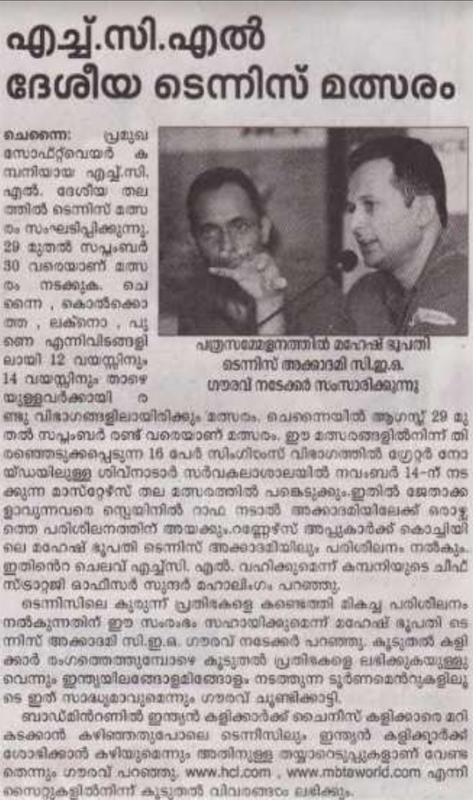 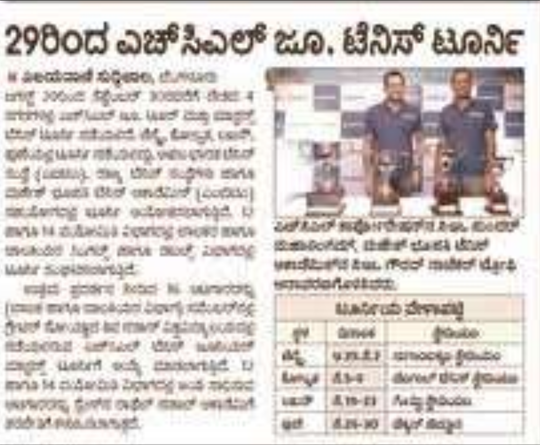 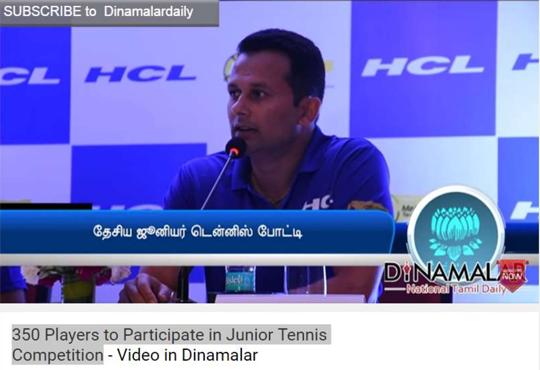 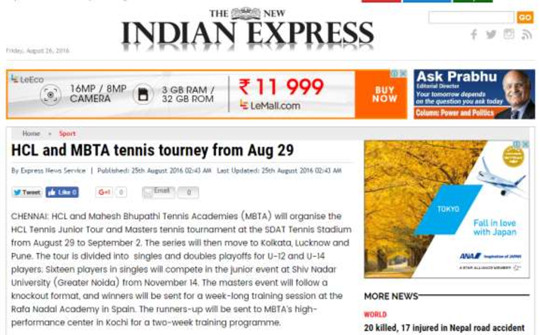 HCL was back in Chennai just 6 months after the HCL Inter School Tennis Challenge. 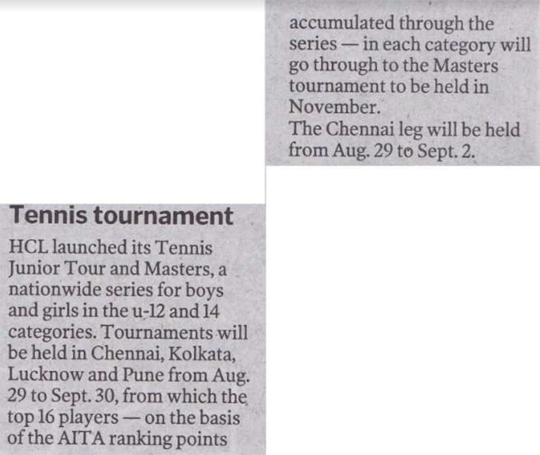 The impact of the first tournament, together with this being a CS 7, saw an overwhelming response from the tennis players of Chennai. 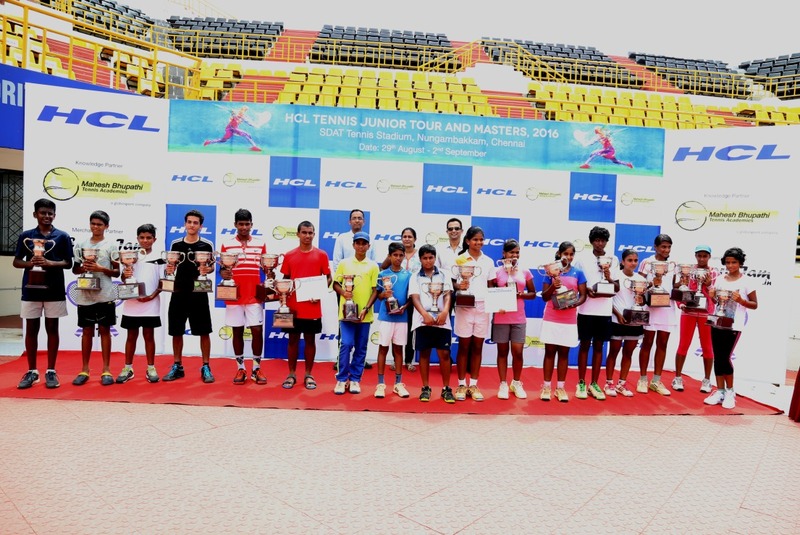 The final of the HCL Tennis Junior Tour – CS7 Chennai was graced by the presence of Mrs. Sai Jayalakshmi who is a former National Champion, and has represented India at the Fed Cup as well as the SAF Games. 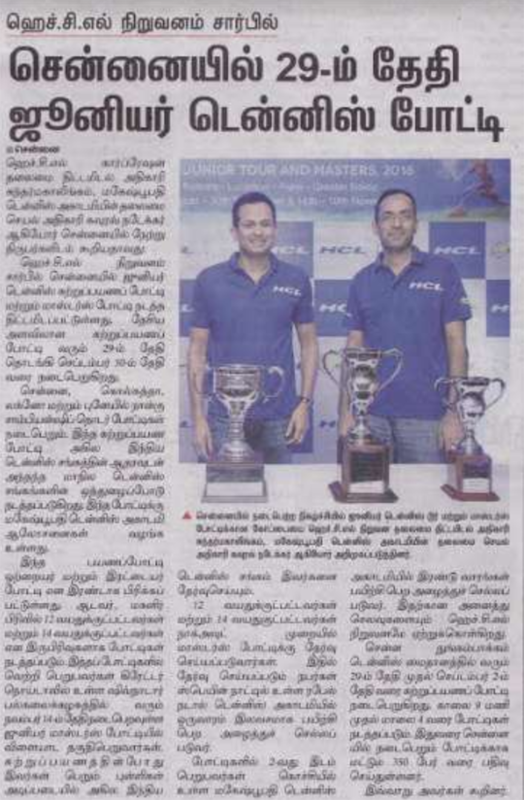 We also had HCL Chief Strategy Officer, Mr. Sundar Mahalingam and MBTA CEO, Mr. Gaurav Natekar at the presentation ceremony to hand out the trophies, certificates and the backpacks for the winners and runners up.